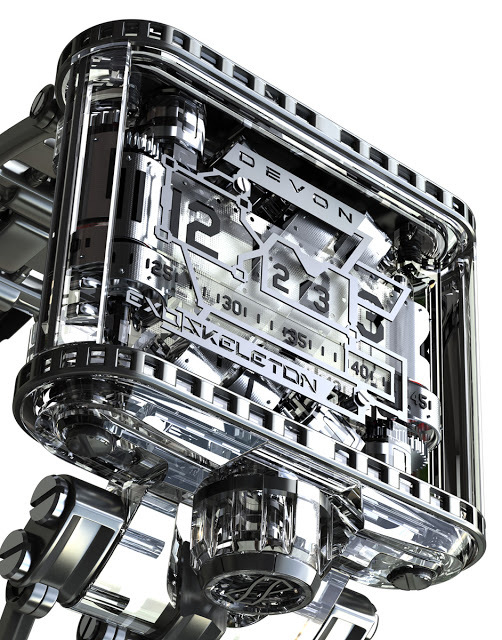 Devon Works has just announced the Tread 1 Exoskeleton, which has a steel and clear polycarbonate case. The Tread 1 Exoskeleton also has a matching steel bracelet, a first for the Tread 1. An American-made, electronic watch with a mechanical belt display, the Devon Tread 1 has become quite a hit. It even won the Grand Prix d’Horlogerie de Geneve in 2011. 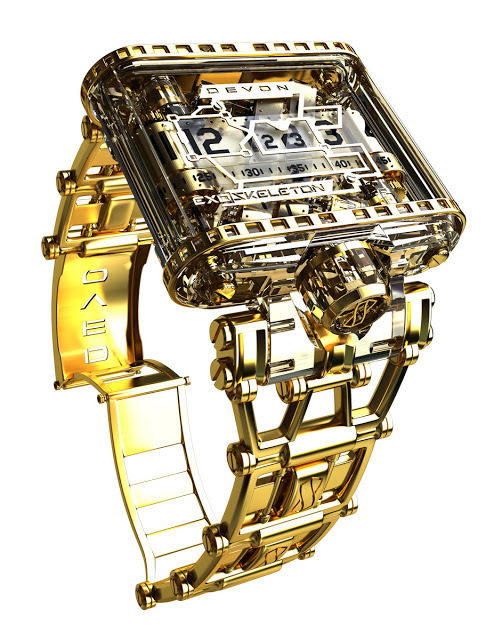 The latest iteration of the watch is the Tread 1 Exoskeleton, which is the third version of the Tread 1, after the original and last year’s limited edition Tread 1 Steampunk. 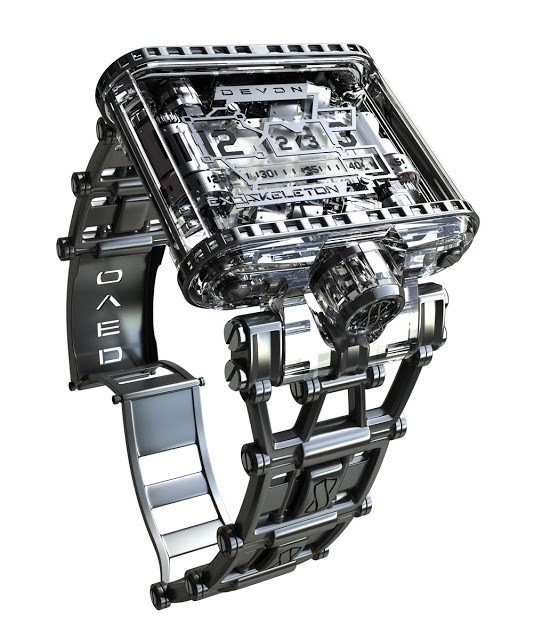 This has a steel case with transparent polycarbonate components – comprising the lugs, horizontal end caps of the case and the crown – along with translucent time belts, exposing the workings of the mechanical parts of the movement. Alongside the new transparent parts, the Tread 1 Exoskeleton also has a new steel bracelet, which is a first for the Tread 1, which was originally fitted on a rubber strap. The Tread 1 Exoskeleton is available in steel, or gold-coated steel. The case size remains the same 56 mm by 50 mm. Based on discussions with Devon management the retail price will be in the region of US$30,000-35,000.